What Is The Infinite Way? 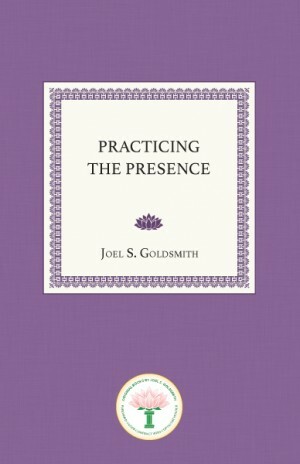 Practicing the Presence is one of the four foundational books among Joel Goldsmith’s Infinite Way writings. Goldsmith recommended that new students begin with this book, together with Living the Infinite Way. Practicing the Presence is a celebrated guide to the awareness of the divine and transcendental in our daily lives. Goldsmith writes that it was during one of his periods of contemplation that the words came to him, “Thou wilt keep him in perfect peace, whose mind is stayed on thee.” This surprised him, because at that time he was little acquainted with the Bible and only occasionally went to church. But through the study of Scripture and the practice of its teachings, Goldsmith realized that a Presence was with him, counseling, sustaining, and leading him into greater spiritual awareness. Following that realization, he traveled throughout the world, teaching others to know this Presence. Goldsmith says, “Every person who has known dissatisfaction, incompleteness, and frustration will someday learn that there is only one missing link in this entire chain of harmonious living. That is the practice of the presence of God – consciously, daily and hourly, abiding in some great spiritual truth of scripture, and it makes no difference which scripture: Christian, Hebrew, Hindu, Buddhist, Taoist, or Moslem.” If we begin with practicing the presence of God, it leads to an inner stillness that makes it possible to meditate. Goldsmith sets forth for the reader how to practice the presence from the moment we awaken to the moment we retire for sleep. All of Joel Goldsmith’s recordings can be ordered in tape, CD, or MP3 format at The Infinite Way website. Copyright © 2013 Acropolis Books, Inc. Website by Bay Area Web Designer.